Congratulations to Moussa Obeid on the successful defense of his PhD thesis proposal. Working with the Canadian Advanced Technology Alliance, Moussa will collect data from technology firms across Canada. His findings will provide the basis for journal articles and also a white paper for all participating firms. 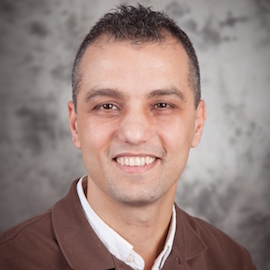 Originally from Lebanon (BBA and MBA from American University of Beirut), Moussa joined the Lazaridis School’s PhD programme following a successful international career marketing and sales management in with companies such as Nokia and Siemens. In addition, Moussa and his wife Rana founded a successful online business that sources and sells Arabic language books for children around the world. Moussa’s PhD advisor is Nicole Coviello (Marketing) and his committee includes Anne Domurath (Policy) and Chatura Ranaweera (Marketing).